Elastomer Certified Testing | Cascade Gasket & Manufacturing Co.
As part of our full range of services, Cascade Gasket provides elastomer certified testing services. 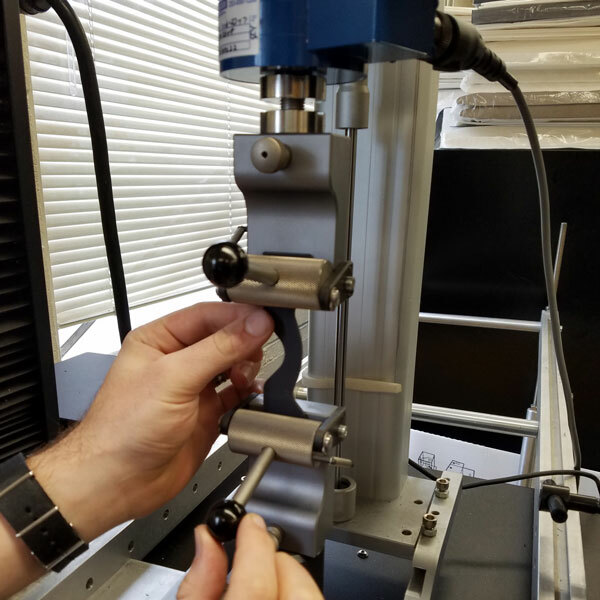 Cascade offers physical, thermal, and chemical testing services (including hardness, tensile strength, elongation, adhesion, modulus, and compression set testing). In addition, we can test for tear resistance, abrasion resistance, resilience and flexibility. Our adherence to strict aerospace testing and production standards has earned us AS-9100 and AS-9102 aerospace certifications, as well as ISO 9001:2015 certification. In addition to our testing services, we can assist with consulting and research and development. Contact Cascade Gasket with any product drawings or information to discuss additional services.